Last fall, I had not one, but two, children with broken bones. While both of them are avid soccer players, they did not break their bones on the field--instead they did it while playing casual sports with friends. Still, soccer is difficult to play with a broken fibula (Sophia), and even with a broken thumb (Chloe). I had some very sad little girls during the rest of soccer season last fall, that's for sure! As a mom who is not a medical professional, it's not easy to know whether or not an injury is something serious enough to run to the ER about. We are on a high-deductible insurance plan, so I'm always weighing the options. I don't want to go pay a ton of money out of pocket just to find out that the injury was very minor. Still, the peace of mind that comes from actually knowing whether or not a bone is broken can be worth the expense. Especially if it is actually broken. Since last fall's broken fibula and broken thumb were my 4th and 5th experiences with broken bones in my children, I had a better idea of what to do. But man, it's still tough to know! Here are a few things I have learned along the way, and while I certainly hope we don't have another broken bone, I will be even better prepared for it if we do. We are talking about suspecting broken bones here, not actually KNOWING. If you are 100% positive the bone is broken because of what you can see, then absolutely rush to the ER! Chloe's thumb was an obvious break--she got into the car, told me how she had fallen on it and then said "it doesn't really look right." I looked, and I could see that her thumb should not be able to be in that particular position if it was indeed intact. So I immediately called her doctor and was able to be seen right away at the office. However, a lot of bone injuries aren't the type of fractures that are obvious to see without an X-ray. 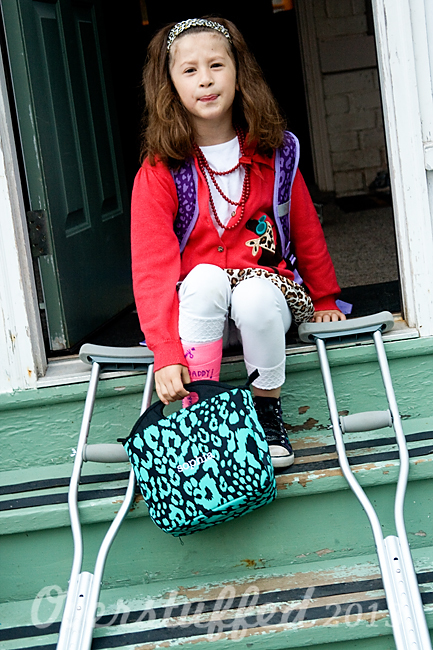 Sophia's fibula, Bria's foot, and the two times Chloe had previously broken her wrist, were all buckle/greenstick type fractures. They hurt a lot, but it wasn't obvious to me whether the bone was broken or not, so I didn't rush to have them seen--instead I waited it out a little while. You know your child best. My Chloe has an incredibly high pain tolerance, so if she is complaining of being in pain at all, I know that it must be killing her. In fact, I have generally taken her in earlier than her sisters simply because of this fact. My other two don't have such high pain tolerance levels--which is fine--but I know that I am looking for an entirely different reaction from them when it comes to injuries. You can also observe the injury itself. 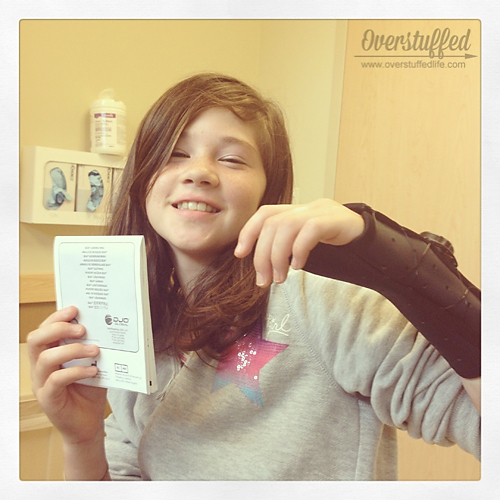 My friend Hilary, who is a nurse, has a great list on her blog to help parents to determine whether or not the bone might be broken. By checking for things like swelling and where it actually hurts, you will be much better informed when and if you do end up in a doctor's office. We parents are constantly second-guessing ourselves, and we just need to stop with the guilt. Like I said before, sometimes the peace of mind in knowing that it isn't broken is worth the trip to the ER. Still, be in tune with your intuition. 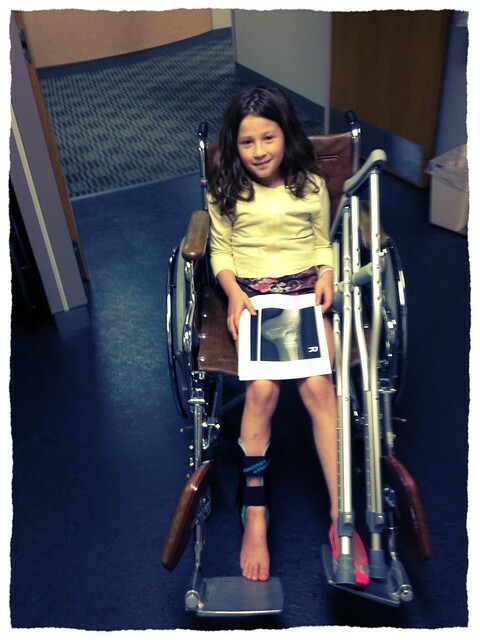 When Sophia broke her fibula, my husband really didn't think it would turn out to be a big deal. But I had that niggling in the back of my head going on. And when I was still feeling weird about it after we had iced it, observed it for a couple hours, and given her pain relievers, I decided to take her in. When Bria broke her foot at the age of three, I waited a long time (days) to take her in. I felt terribly guilty, but she's fine. Don't worry! I have a friend who is a doctor and another one who is a nurse, and both of them have waited several days before finally taking their kids in--only to find out that it was actually broken! If it can happen to a doctor or a nurse, it can certainly happen to any mom. We are all doing the best we can! Obviously not every kid will, but if you are prepared for it before it ever happens, you'll deal with it much better. It's important to make sure your child knows how to play it safe during sports, on the playground, and just in general life. Still, accidents happen, and many of them result in broken bones. I promise I'm not trying to be flip. 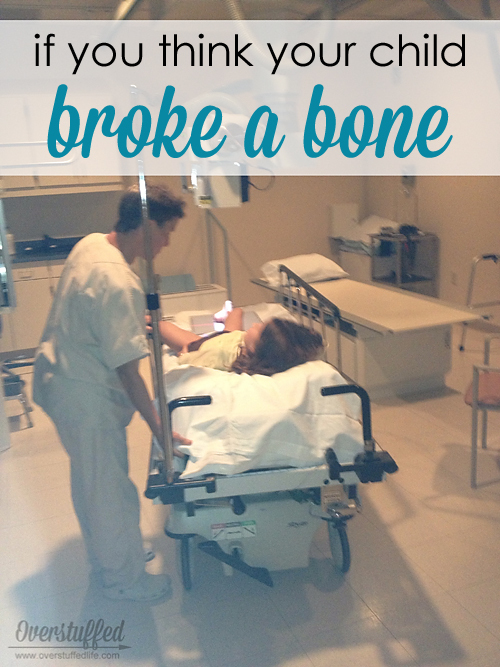 I've personally never broken a bone in my life, and neither has my husband. Yet somehow we've already had five broken bones between our three daughters. I would have never thunk. But now, I wouldn't be surprised if it happens again, and I am ready! With our high deductible plan, I wish we would have had some supplemental insurance like AFLAC. I actually had AFLAC for all of my pregnancies, and when Chloe was in the NICU, it saved our hides, financially speaking. AFLAC doesn't pay the medical providers--they pay you directly. So when you are dealing with an illness or injury and some of the costs that come along with that like missed work hours or uncovered medical costs, AFLAC makes those things easier to face. 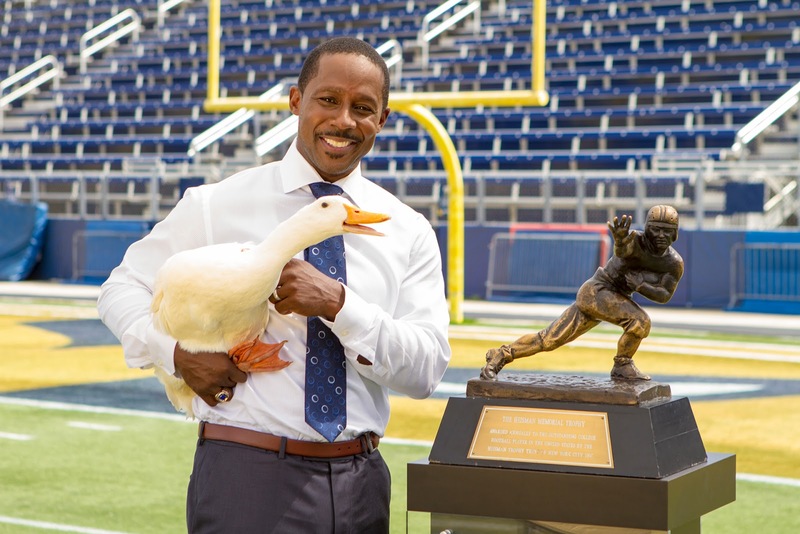 Did you know that AFLAC has a policy just for accidents? What a great policy to have on hand when you've got active kids, because accidents can and will happen. Believe me, I've lived it! Oooh, I love how it looks with the candle underneath. So spooky! Thanks for the great tutorial. Great tips! I also have one with a high pain tolerance. I waited two days to get him to the doctor because he kept playing after he broke it. Sure enough, it was a buckle fracture. Not my best mom moment. I am working on decluttering mine as we move. What a job. Now to keep it organized and neat. These are really cute, Lara. Love how they look in the candle light. Great tutorial. Tupperware cupboards are the worst to keep organized! The best solution I've found is to really pare down to only the bare minimum. Most of us think we need more than we really do. But when I really thought about how often I use specific containers or which other ones I could use for more than one purpose, I was able to get rid of a lot. The less in that cupboard, the more organized I can keep it. I think your lids bin will help a lot! Hope your family gets all healthy soon! Zariah (who has an incredibly low pain tolerance) may never forgive me for waiting 2 days to take her to the Dr. for a broken foot. It was 3 (health-insurance-less) years ago and she still talks about it. Sigh. Chalk it up to (another) mom-fail. great advice, thanks... I know I'm gonna need this some day! We're lucky we've avoided the broken bone scenario so far, but this are great pointers if it ever comes up! Tupperware cupboards should be illegal. :) I actually have minimized it to only things we use regularly and a few that I use often enough that I feel I need to keep them. Thank you for this helpful blog post. Luckily, my child hasn't broken anything...yet! But, I've broken my nose and a wrist. Oy veh! We've had xrays done a couple of time to rule it out. It happens! Three days after I posted this, Chloe fell while trick-or-treating. I didn't take her in until Monday, November 3 and sure enough--broken finger! But it doesn't make me feel as bad anymore, since the doctors almost always say it's hard to tell before a few days have past anyway. Not a mom fail. An insurance fail. I miss you. I hope it doesn't, but I have been amazed at how much it has for me. Including three days after this post published...I jinxed myself! Poor you! And I hope your child escapes any bone breakage! It's definitely nice if you have an insurance plan that makes that easy. It would cost me 1,000 dollars out of pocket to just rule it out with an x-ray, so I like to be fairly certain it's broken before I go in.